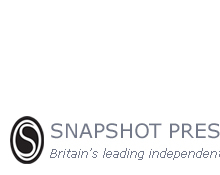 Snapshot Press has published two critically-acclaimed poetry journals, Snapshots and Tangled Hair. Edited by John Barlow, Tangled Hair was the first ever journal dedicated to English-languge tanka to be published outside the US. The inaugural issue was published in 1999, the year before the foundation of the Tanka Society of America, with a further four issues appearing between 2000 and 2006. A few copies of some issues are still available. Twelve issues of the haiku journal Snapshots were published between 1998 and 2006. Issues 18 were edited by John Barlow, with Matt Morden joining as Associate Editor for issues 912. A few copies of some issues are still available.